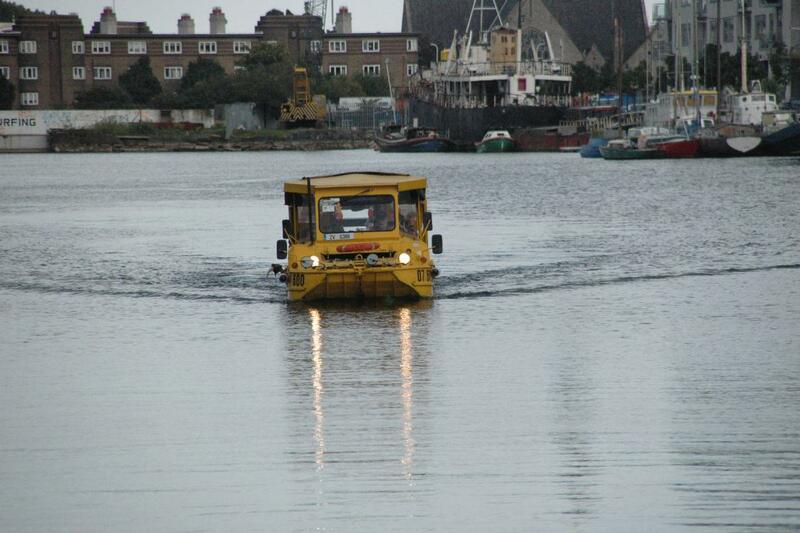 A small tour boat gave tourists a ride around the quay area of Dublin. This was an old warehouse area undergoing tremendous rebuilding and a massive redesign into a tourist and visitor area. 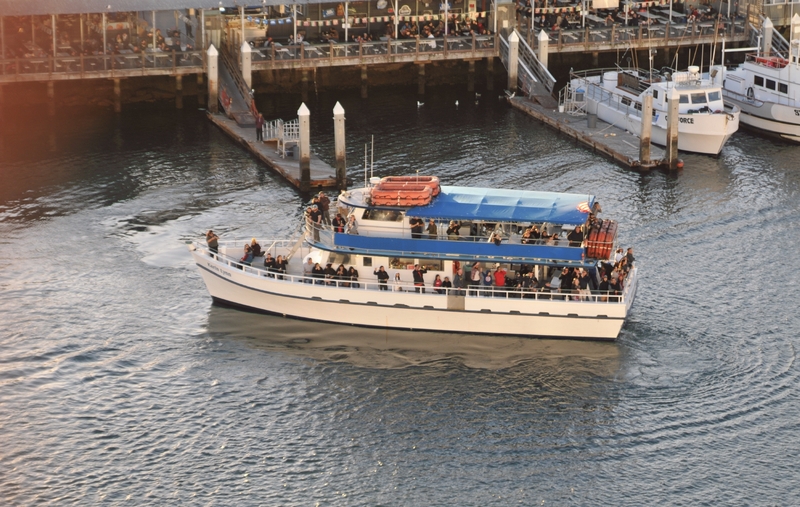 A small tour boat provided rides around the area of Pier 39. It hugged the shore and ran from Pier 39 up to Fort Mason and back again. 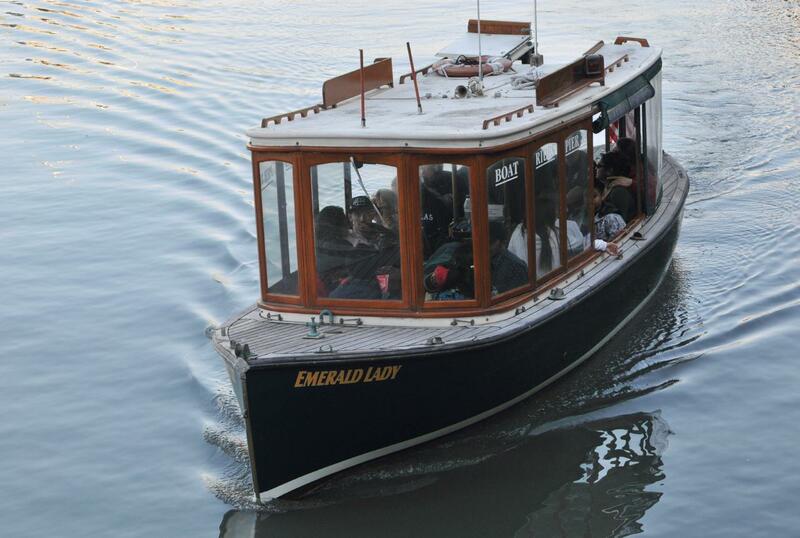 This was a near-shore style tour boat capable of travel in good weather only. One of the nicer features of the Turtle Beach Lodge located down the river from Tortuguero, Costa Rica, were its early morning nature tours. 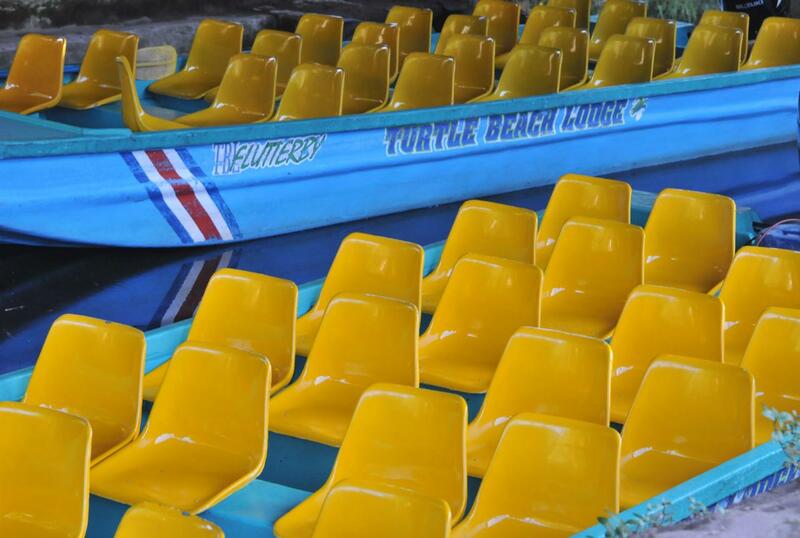 The low and wide tour boats with their numerous yellow seats were surprisingly comfortable and quiet. The folks at Turtle Beach Lodge led their tours earlier than any surrounding lodge so provided a more private and revealing look at the birds, animals, and plants in early pre-dawn light. 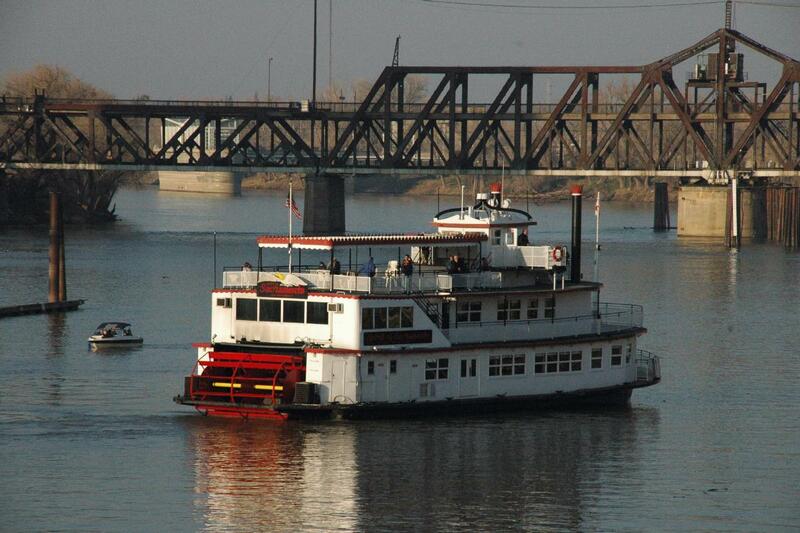 A river-boat returned to port after providing a tour of the Old-Town area of Sacramento. A fairly large boat with indoor dining and a partially covered viewing deck. A tour boat had just backed out from its dock as our huge Princess Cruise ship passed by. Just as we photographed the tour boat, those on the tour boat also photographed us. The name of the boat was the Karin Lynn, which billed itself as a harbor tour or whale watching boat. 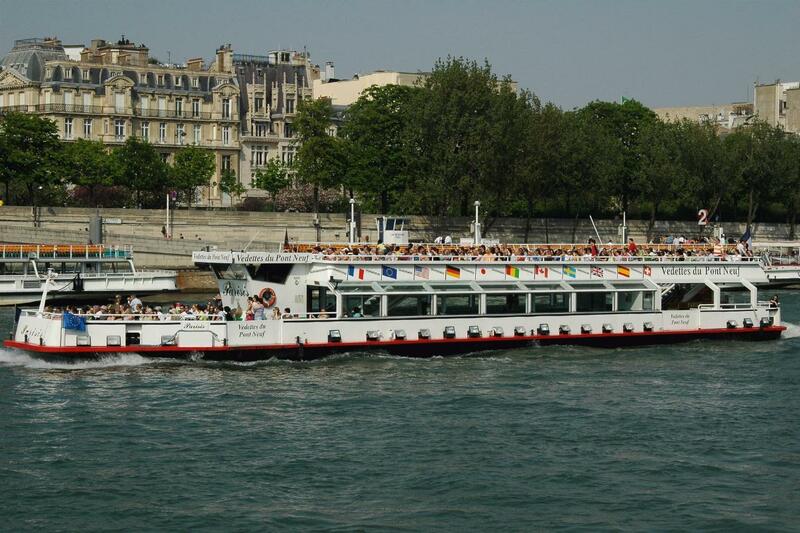 This was just one of the many tour boats that plied the River Seine. All the boats were long and wide and carried a huge number of tourists. Despite their romantic reputation, they had an overpowering odor of commercialism.